A group that released viral footage of an emaciated polar bear has drawn the ire of Iqaluit's mayor for suggesting Inuit hunters are downplaying climate change to protect their bottom line. A conservation group that released footage of an emaciated polar bear has come under fire for suggesting Inuit hunters are downplaying the effects of climate change in order to protect their bottom line. "Inuit people make a lot of money from polar bear trophy hunting," SeaLegacy co-founder Cristina Mittermeier told As It Happens in an email on Tuesday. "Of course it is in their best interest to say that polar bears are happy and healthy and that climate change is a joke, because otherwise their quota might be reduced." The statement — which Iqaluit Mayor Madeleine Redfern called "very racist and factually untrue" — was in response to local backlash against a video the group released last week of a severely emaciated polar bear near Baffin Island in Nunavut. 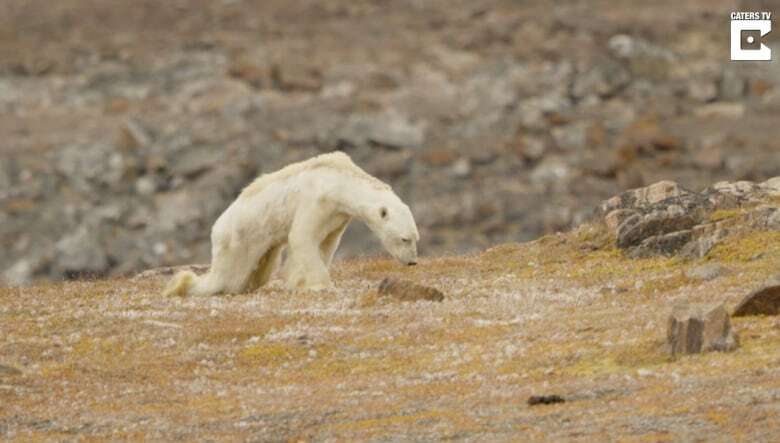 While SeaLegacy called the bear "the face of climate change," several Nunavut residents, including Inuit polar bear monitor Leo Ikakhik, said the creature was most likely sick, injured or elderly. Both As It Happens and CBC North shared part of Mittermeier's statement on social media, prompting several people to come to the defence of Inuit hunters. Among them was Redfern, who has studied the impact of polar bear hunting in Nunavut. "Inuit do hunt polar bears. The vast majority is for food," Redfern told As It Happens host Carol Off. "It's part of our food. It's part of our culture. And it's very nutritious." She said one polar bear can provide up to 200 kilograms of meat — which goes a long way in the territory where one in four people faces in food insecurity. 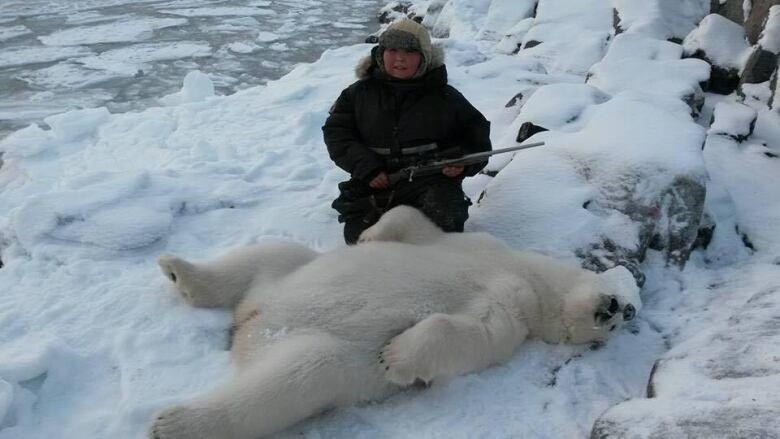 She said sport or trophy hunts account for about 10 per cent of polar bear hunting in the region, and that it "provides valuable income for the families" and that the meat is usually given back to the community. "We know climate change is happening. We are not climate deniers. In fact, we are feeling it more than anyone else," she said. Asked for further comment, Mittermeier said she never intended "to speak against the Inuit or their traditions, but to speak for polar wildlife, and especially polar bears." 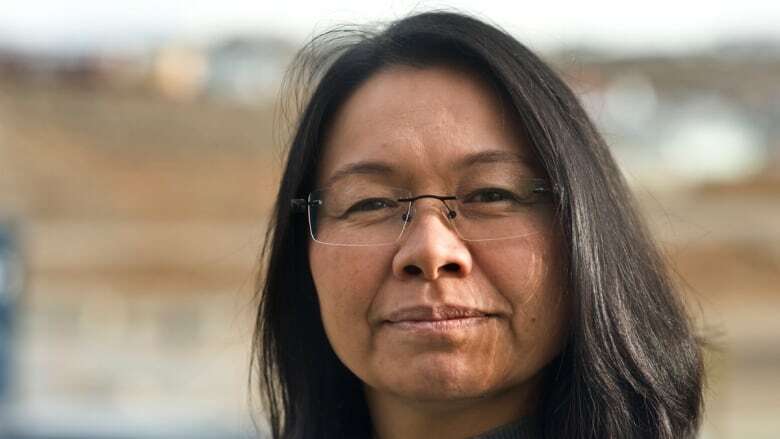 "I respect the traditional knowledge of the Inuit and I feel empathy for what their world will look like if climate change continues unchecked," she said in an email on Thursday. "Through many interactions with the Inuit from Greenland to Canada, the elders I've met are hyper-aware that their entire livelihood depends on a harmonious relationship with their environment. "Science proves all is not well in the Arctic — the ecosystem that both the Inuit and the polar bears live within has changed dramatically due to all our actions around the world. I wish the Inuit the best of luck. My only purpose was to awaken the world to the effects of climate change. It still is." Most scientists agree that melting sea ice has had a detrimental effect on polar bears globally, and it's only expected to get worse. Canada's southernmost polar bear populations have been particularly hard hit. However, a report released in March by the Canada-Greenland Joint Commission on Polar Bear found the animal's populations are either steady or increasing in parts of Canada's eastern Arctic, including the Baffin Bay fjords and the Kane Basin north of Iqaluit. According to the federal government, about two per cent of the Canadian polar bear population — or 300 bears annually — enter the international market. Quotas are managed by the Nunavut Wildlife Management Board, a body created by the Nunavut Agreement, which expressly details the Inuit right to harvest wildlife. The territory has a maximum harvest quota of 25 bears per years, and animals killed in defence of life or property are included. "The system that we have managing the wildlife in Nunavut is one of the best in the world and we've been doing it for years and years and years," James Eetoolook, vice-president of Nunavut Tunngavik, which in charge of treaty rights for Nunavut Inuit, told CBC North. SeaLegacy also came under fire for not intervening to feed the hungry polar bear it filmed rummaging through the garbage on Somerset Island in July. But Redfern had another idea about how the filmmakers should have responded. "The humane thing would have been to put the bear down to end its suffering, and to have brought the bear back to the community and given it to the conservation officer and they would have sent samples of the bear or the whole bear itself to have actually been studied to understand why the bear was in that condition," she said. "It's facts first rather than the emotional propaganda and manipulating from organizations like SeaLegacy, who themselves are profiting from their torqued information."